It’s hard to imagine an officer of the law ever getting caught for breaking the law. Unfortunately, for one officer from the University of New Hampshire’s police department, that’s exactly what happened. One morning this past June, Diane Scott, a University security professional and former officer, found herself in a predicament. Early in the morning, an officer, Ron Taylor, received a call to investigate a car accident in Canterbury. What he found was his former colleague, Ms. Scott, lightly injured, but able to recognize him. Officer Taylor quickly saw all the signs of a DUI. Scott was reported to have a clear scent of alcohol, and difficulty standing up, swaying constantly during her conversation with the officer. It was then that officer Taylor made the arrest, much to Scott’s shock, surprise, and dismay. Scott is reported to have denied Taylor’s arrest in disbelief. After being treated for her injuries, Scott was reported to have refused a blood test when asked, and to have continued to refute her arrest. Later on, it was revealed that Scott had gone to court for an arraignment. She pleaded nolo contendere to a Class B misdemeanor DUI charge. Her sentencing resulted in a fine of $500 and a license suspension of nine months. In addition to the fines from the plea, she will also likely face additional suspension time for her test refusal from the DMV. What Does A Nolo Contendere Plea Mean? Translated literally from Latin, nolo contendere means “no contest.” In the courtroom, this basically means the same thing as a plea of “guilty,” with some significant differences. Essentially, when a person commits to a plea of “nolo contendere” they are not pleading guilty, but they ARE accepting all the punishments that come with a plea of “guilty.” The plea will also result in a criminal conviction. However, there is one distinct difference between pleading guilty and pleading nolo contendere. This difference does not occur in criminal court, but instead civil court. Typically, in most cases, if someone has been wronged, the state will pursue a criminal case, but the if the situation calls for it, the individual may also pursue a civil lawsuit against the defendant as well. However, in cases where a defendant pleads “nolo contendere” they are not actually admitting to any wrongdoing, instead, they are simply accepting the consequences of any potential wrongdoing. Because of this, convictions of “nolo contendere” do not come up in civil cases. While this does not secure the defendant from having a lawsuit brought against them, it can save the defendant trouble down the road. For this reason, persons involved in traffic accidents will often opt to go for nolo contendere, rather than “guilty” in an attempt to prevent the pursuit of civil action later on. For a serious charge, like a DUI, it is critically important to hire an experienced NH Dui lawyer. If you or a loved one is facing criminal charges in New Hampshire, contact the legal team at Tenn And Tenn today. 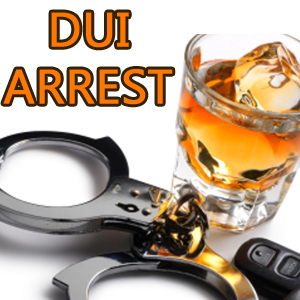 Our DWI lawyers have more than 20 years experience helping individuals facing criminal charges for DWI.